Intense ruby robe. 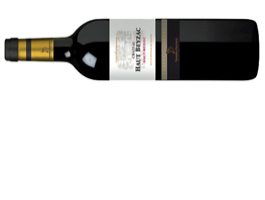 Powerful nose of black fruits associated with a discrete toasted oak (cloves, black current). A subtle attack in the mouth, the balance and structure of the tannins are silky and round. Its respectful character of Medoc wines will flatter your palate.